Glorious home on 8+ acres in charming Shoal Creek Farms. Beautifully landscaped, walk up brick walk to rocking chair front porch. Enter foyer- PARLOR to the right and formal DINING ROOM to the left. Straight ahead is the vaulted GREAT ROOM with Palladium windows, fireplace and built-ins for sound and TV, a great place to relax and enjoy the view of the DECK. KITCHEN is to the left and has breakfast area looking out onto yard. Convenient 2-tier granite island has breakfast bar on one side and 5-burner gas stovetop on the other, perfect for chatting with the cook. Long granite countertop and lots of cabinets makes cooking a delight. Walk-in pantry is near the LAUNDRY ROOM with its sink, desk, counters, and cabinets. Other side of the home has the MASTER SUITE- a large bedroom with bathroom attached with offset tile, rimless shower, whirlpool tub, granite counters with double vanities. Next door is large walk-in closet. Opening from the bedroom on one side is a luscious SUNROOM and private deck. Other side opens to its own OFFICE/sitting area. Truly a magnificent Master Suite. Main floor is all hardwood floors or tile. UP the elegant staircase are 2 BEDROOMS with Jack and Jill bath, another BEDROOM, a huge BONUS room with walk-in closet, and another BEDROOM with skylights and private bath and an outside entrance. Outside, there are several lovely sitting spots to enjoy the views. A lean-to/shed has plenty of room for a workshop, potting shed, and another car. Be sure to see the several acre field to the left, perfect for playing, parties, and perhaps horses. Shoal Creek Farms has a lovely lake to fish. Roof only 3 yrs., kitchen and baths remodeled within 5 years. Shoal Creek Farms is a subdivision within the city of Athens, Georgia. There are currently 5 Homes for Sale within Shoal Creek Farms, with asking prices ranging from $394,000 to $599,000. The average list price per square foot of the available inventory in Shoal Creek Farms is $114, which is below the Athens average of $210. The Average Sales price of all sold real estate in this subdivision for the past year is $300,300. Recent comparable homes have been selling for 95.49% of their asking price. Waterfront homes represent 0.00% of the available Shoal Creek Farms inventory. The population of Athens, according to the 2010 Census, is 115,452. The total number of households in the zip code of Shoal Creek Farms is 15,949, with an average household size for of 2.27 people. The total number of renter households within the zip code of 30605 is 10,099, which means that 36.68% of households in this zipcode are owner occupant households. 225 BLUE HERON DRIVE, Athens GA 30605 is a Home, with 4 bedrooms which is recently sold, it has 4,439 sqft, 8+ - 9 sized lot, and Attached,Garage,Detached parking. 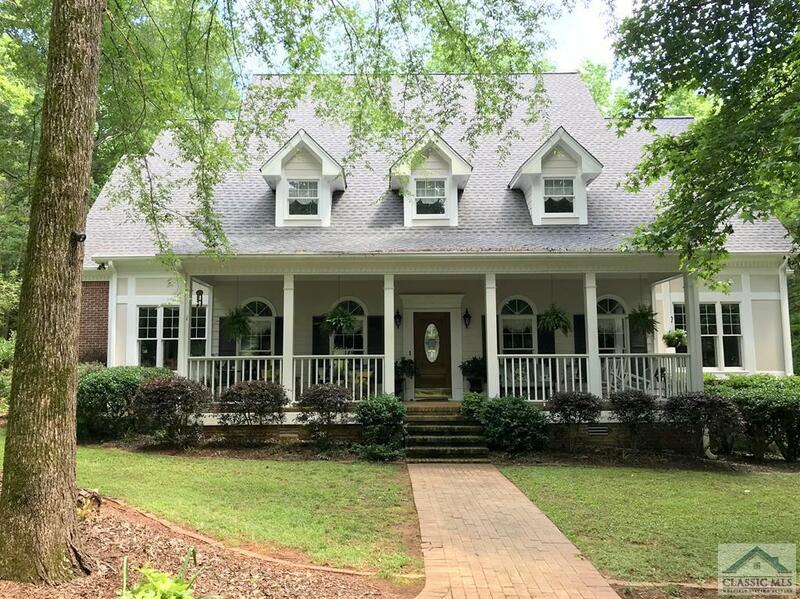 A comparable Home, has 5 bedrooms and 3 baths, it was built in and is located at 255 Millstone Cir Athens GA 30605 and for sale by its owner at $ 415,000. This home is located in the city of Athens , in zip code 30605, this Clarke County Home, it is in the Shoal Creek Farms Subdivision, and Cedar Creek are nearby neighborhoods.